Share a tasting experience where you will discover the history of our wines, terroir, vineyards.Learn about the family who has been in wine for over three generation in Bordeaux and started a new adventure in Sonoma . 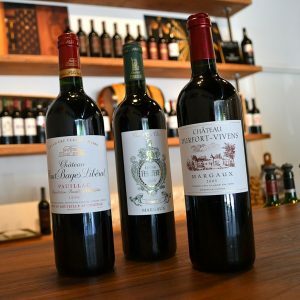 Enjoy a carefully selection of wines showcasing the unique style of Cabernet Sauvignon, Cabernet Franc, Merlot and note how each wines reflect his terroir from 6000 miles apart from an another. Few winemaker have the ability to offer you this privilege and unique experience. We are delighted to offer a variety of tasting to explore the wines from Sonoma and Bordeaux side to side, unique in Sonoma.